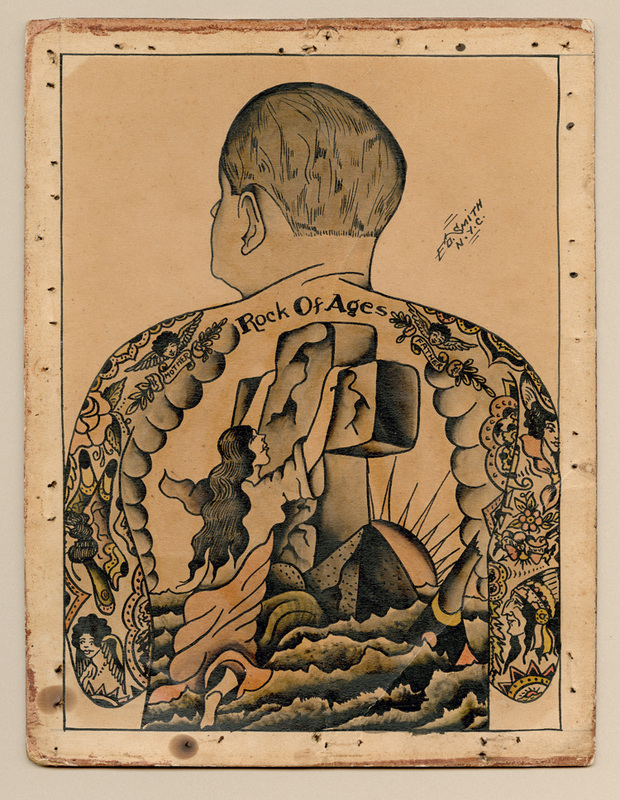 The first of two postings on the history of tattooing and tattoo artists of New York (the second posting being on the exhibition The Original Gus Wagner: The Maritime Roots of Modern Tattoo appearing soon). 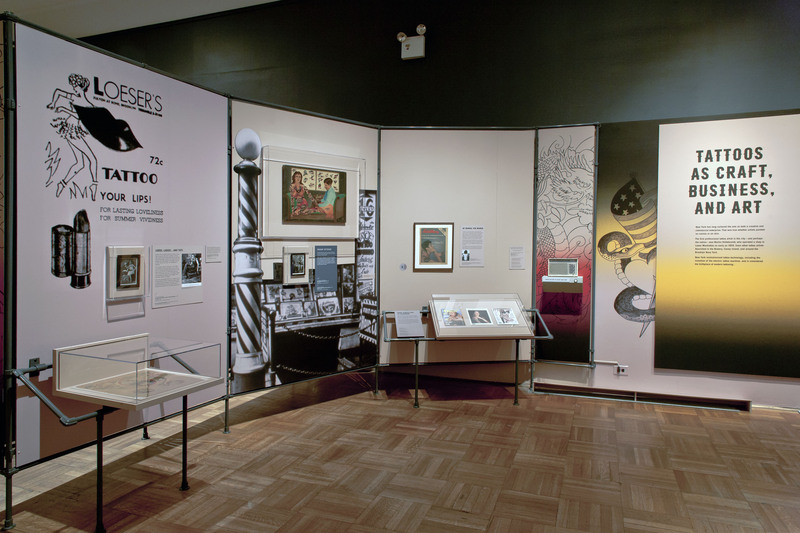 Many thankx to the New-York Historical Society for allowing me to publish the art work in the posting. Please click on the photographs for a larger version of the image. 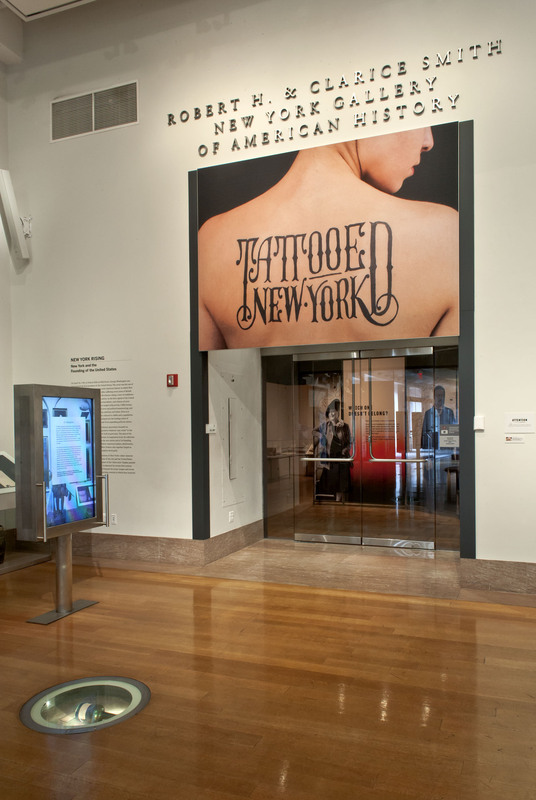 A new exhibition at the New-York Historical Society will examine three centuries of tattooing in New York, including the city’s central role in the development of modern tattooing and the successive waves of trend and taboo surrounding the practice. 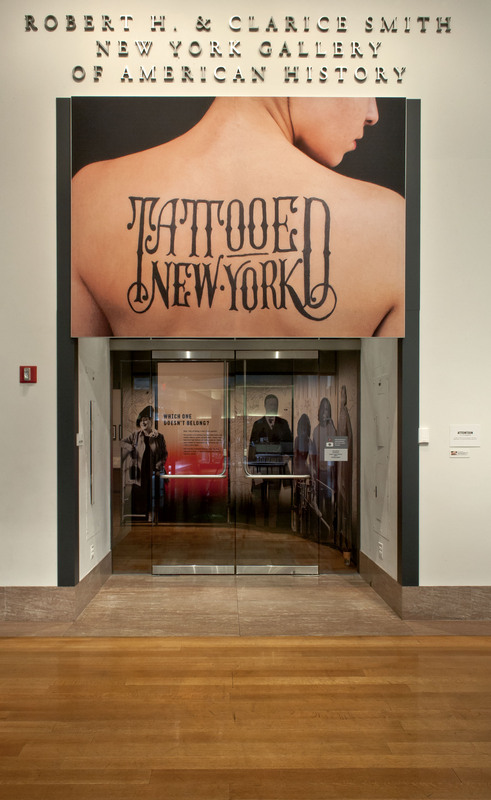 Tattooed New York, on view February 3 – April 30, 2017, will feature more than 250 works dating from the early 1700s to today – exploring Native American body art, tattoo craft practiced by visiting sailors, sideshow culture, the 1961 ban that drove tattooing underground for three decades, and the post-ban artistic renaissance. 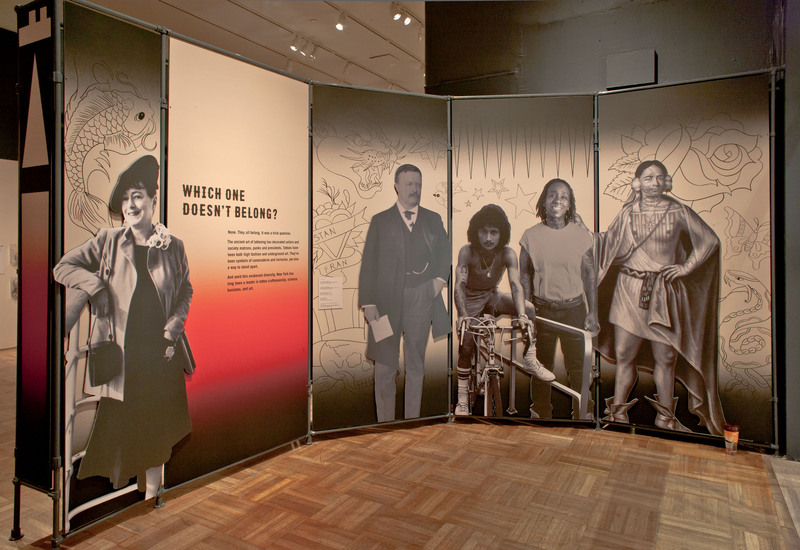 Tattooed New York will explore early communities of body art aficionados – such as Native Americans, sailors and soldiers, society women, and “tattooed ladies” – as well as examine how identity is expressed through tattoos today. 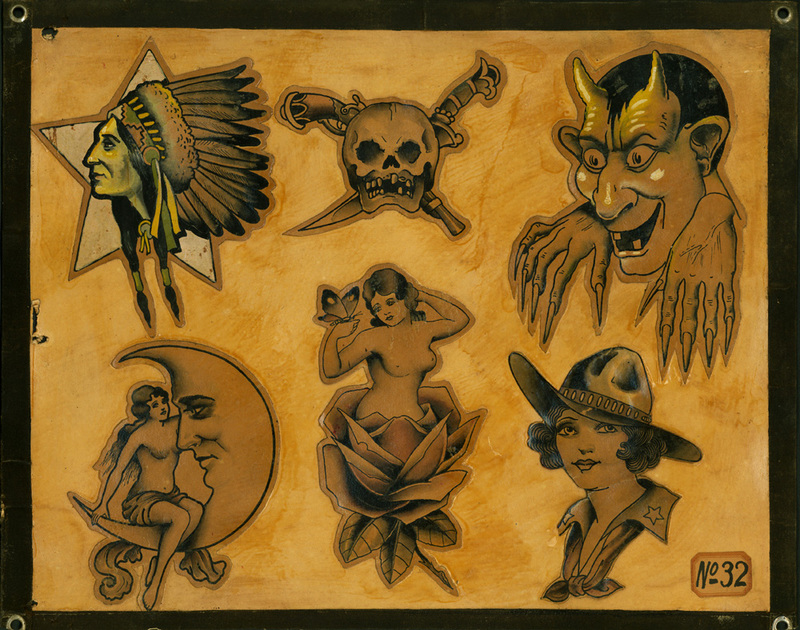 It will follow the evolution of tattoo technology, from pricking and poking techniques to machines; track the rise of New York City’s Bowery neighbourhood as a hotbed of tattoo culture in the 1920s-30s; share the creative and secretive ways that tattooing continued during the ban; and feature artwork by some of the finest New York tattoo artists working today. 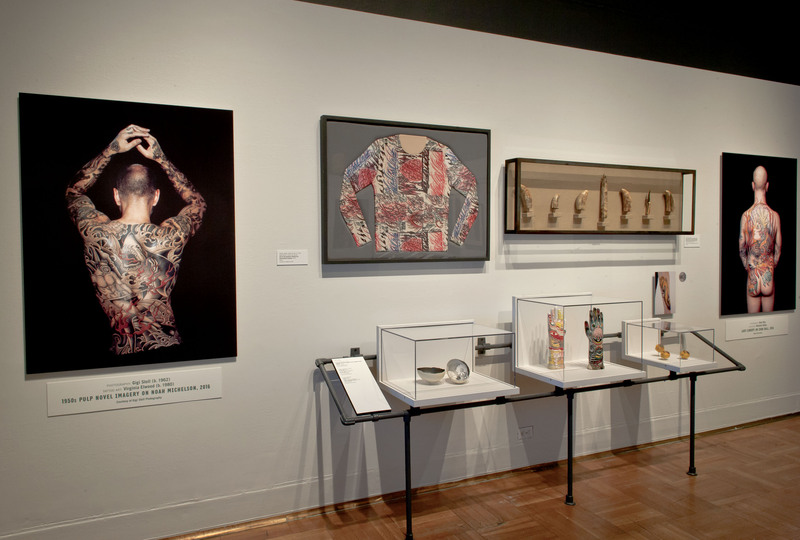 Tattooed New York is curated by Cristian Petru Panaite, Assistant Curator of Exhibitions at the New-York Historical Society. 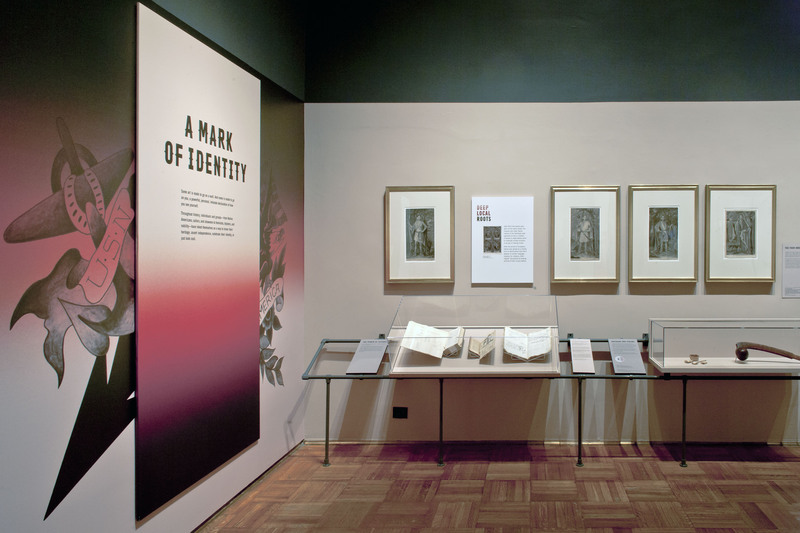 Among the earliest items in the exhibition are the New-York Historical Society’s Four Indian Kings mezzotints from 1710, featuring portraits of Mohawk and Mohican tribal kings who traveled to London seeking military aid against the French and their Ojibwe allies. 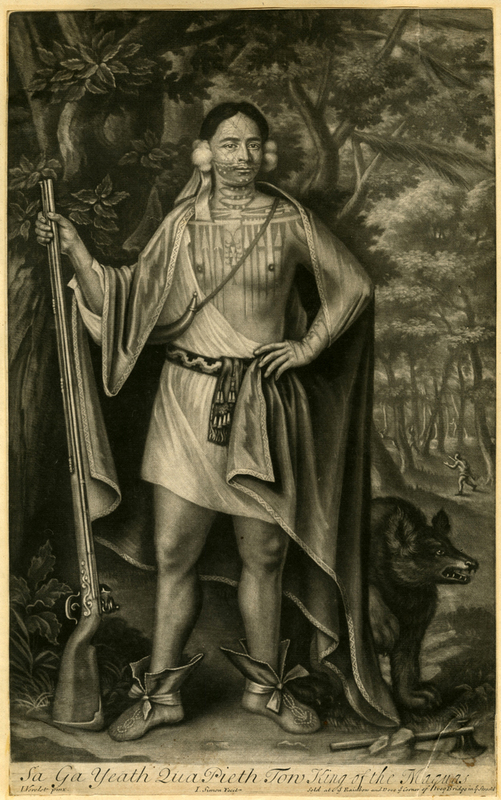 The King of the Maquas (or Mohawk tribe) is depicted with black linear patterns covering his chest and lower face. Also on view is a 1706 pictograph by a Seneca trader that represents his distinctive serpent and bird tattoos as his personal signature, one of the earliest recorded in Western accounts. 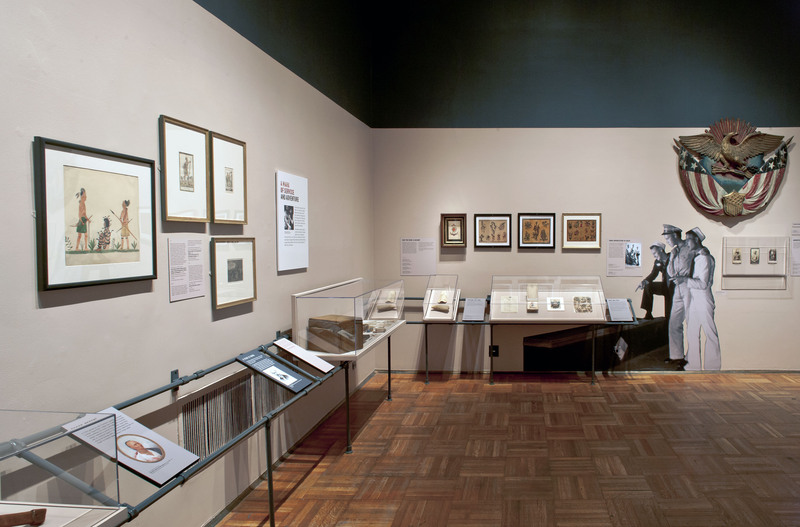 Tattooed New York also features a Native American tattooing kit used for medicinal purposes and a mid-18th century Ojibwe ball club with carvings suggestive of tattoo patterns that likely adorned the warrior’s body. As soldiers and sailors traveled the world in the early 19th century, tattoos served as mementos of faraway lands, good luck charms, and protection against induction into the British Royal Navy. 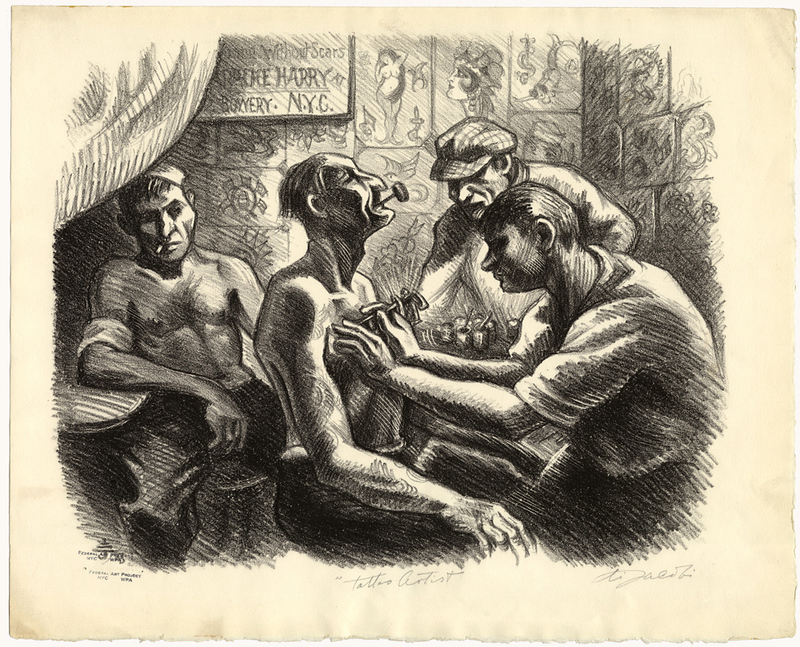 Passing through New York, seamen also earned extra money by showing off their tattoos in pop-up sideshows. 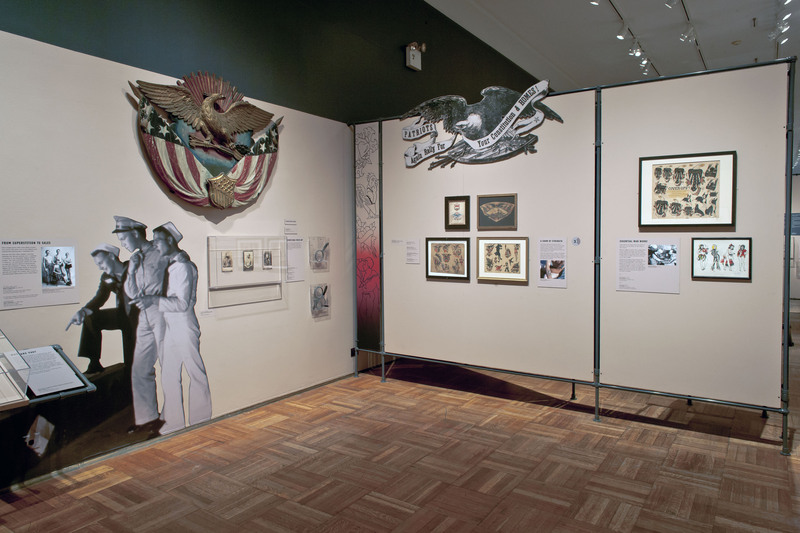 An early Protection Certificate and a manual tattooing kit belonging to a sailor are featured in the exhibit, along with examples of patriotic and religious art that inspired tattoo designs. 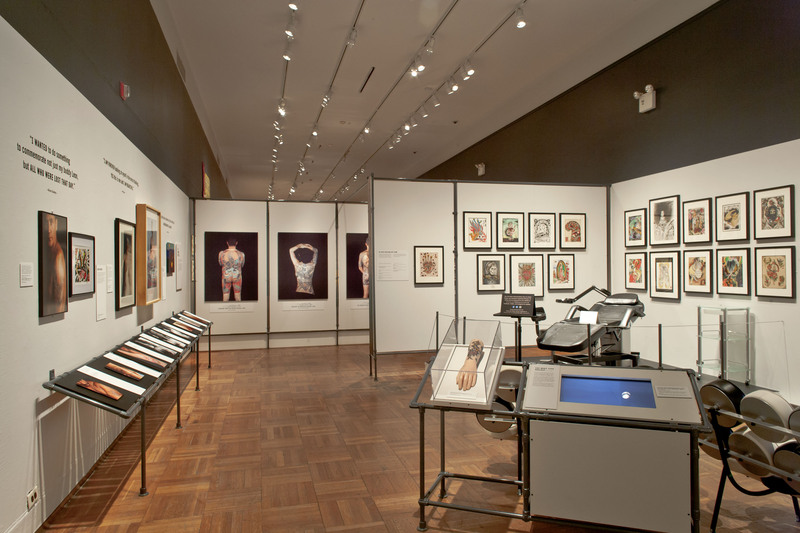 The exhibition charts the evolution of advances in the art of tattooing, many of them pioneered in New York. 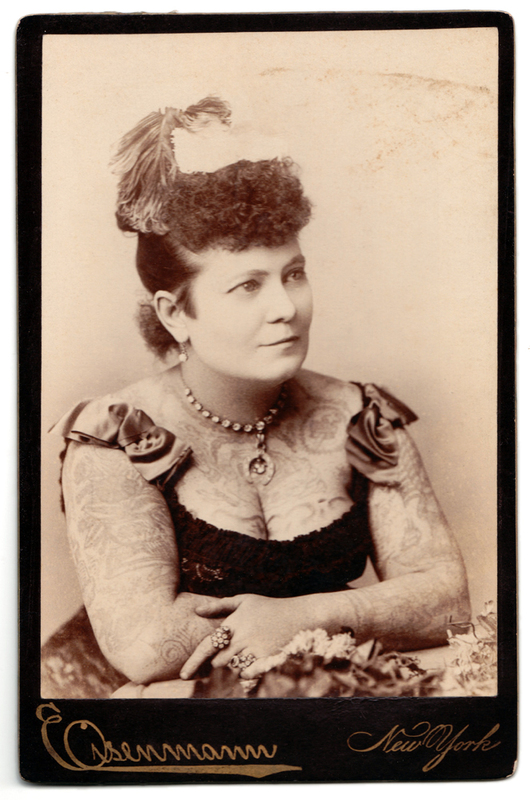 Martin Hildebrandt, often credited as the first professional tattoo artist in New York City, set up a permanent tattoo business in Lower Manhattan as early as 1859. 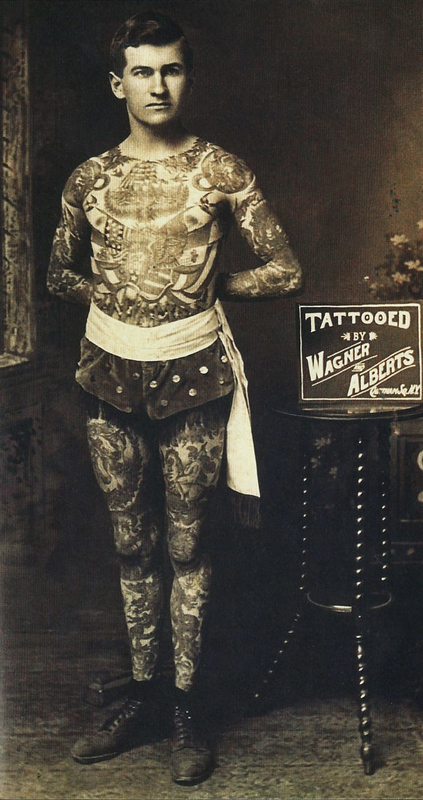 The trade was revolutionised by Samuel O’Reilly’s invention of the electric tattoo machine on the Bowery in 1891. 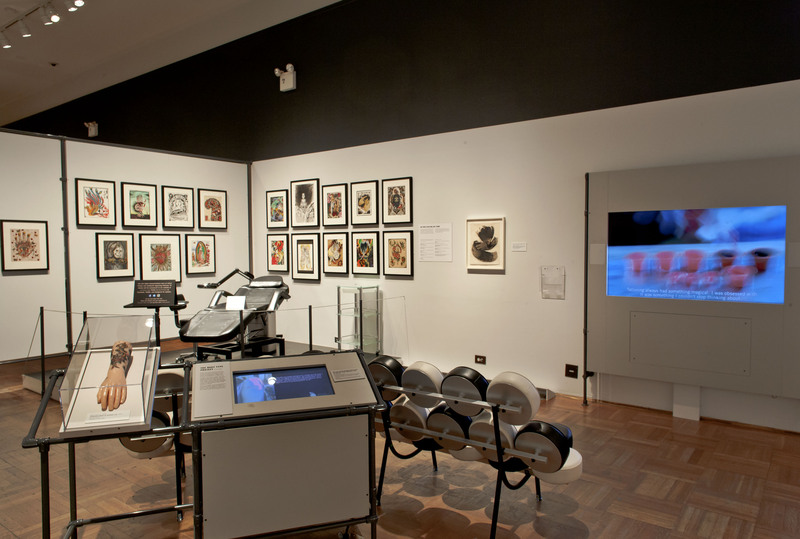 O’Reilly’s machine was based on Thomas Edison’s Electric Autographic Pen, an example of which is on view. The invention instantly made tattooing cheaper, faster, and more widely available. 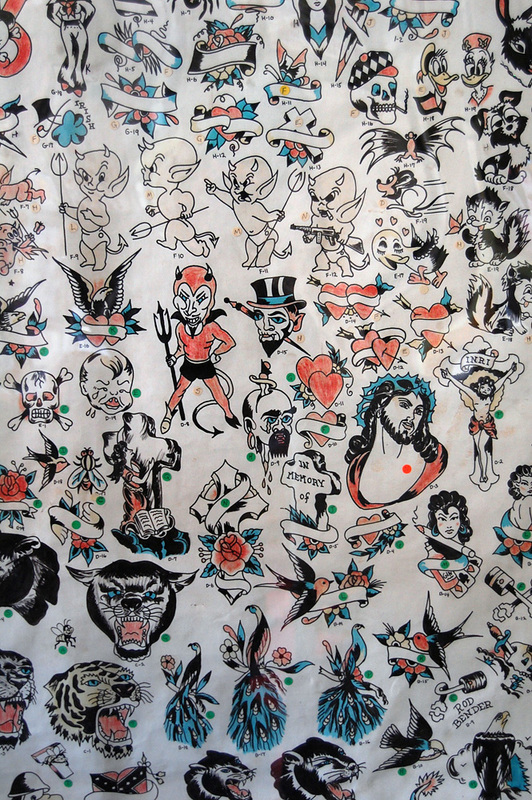 New York tattooers also changed the way designs were drawn, marketed, and sold. 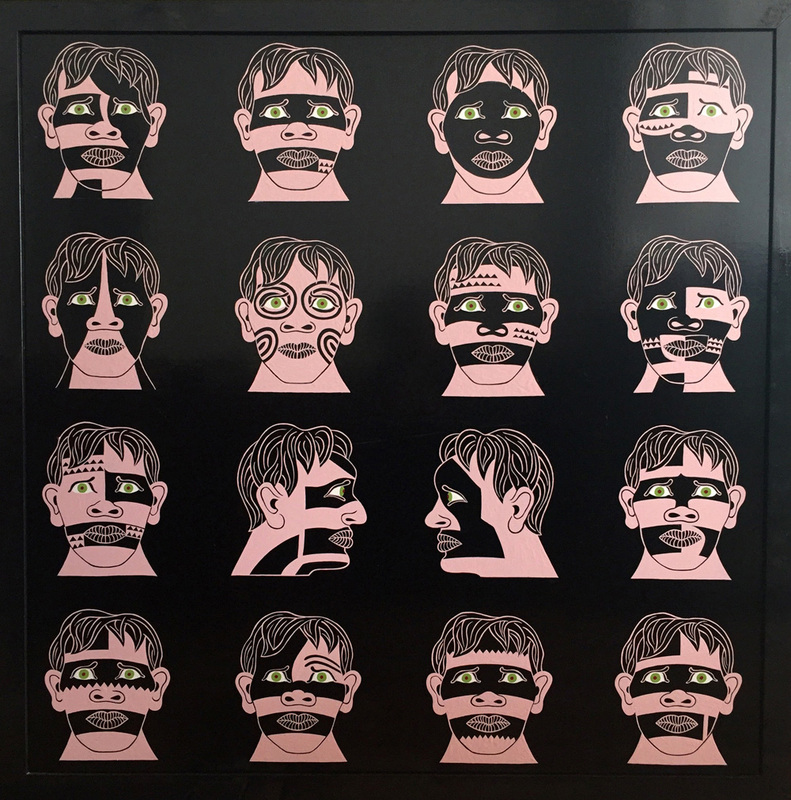 Flash – the sample tattoo drawings that still adorn many studios today – was developed and popularised by Lew Alberts, whose drawings are displayed along with work by Bob Wicks, Ed Smith, and the legendary Moskowitz Brothers. 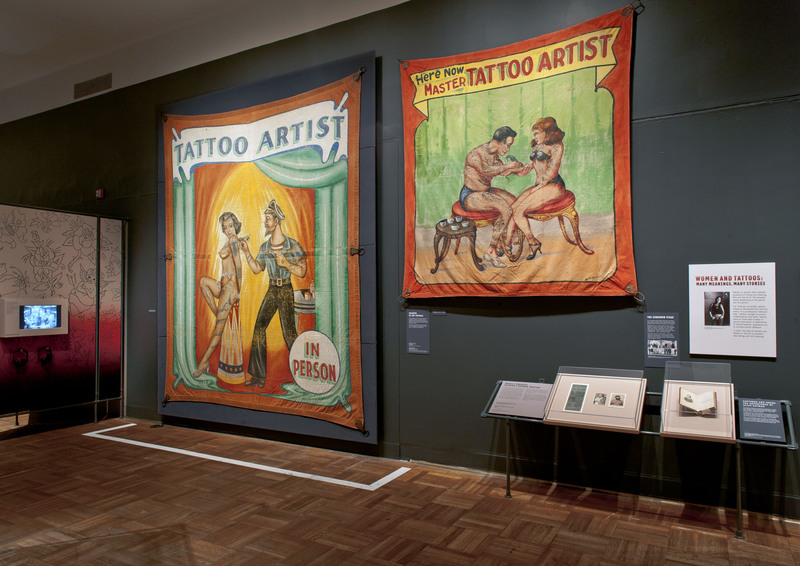 The exhibition focuses special attention on women and tattoos, from the sideshow era through today. 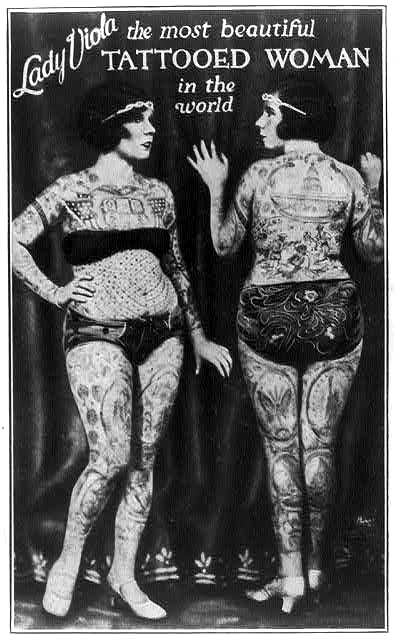 Photographs capture famous sideshow tattooed stars, including Nora Hildebrandt, “the first professional tattooed lady;” La Belle Irene, “the original tattooed lady;” and Lady Viola, “the most beautiful tattooed lady in the world.” A painting by tattoo artist Ace Harlyn depicting famed Bowery tattooer Charlie Wagner tattooing Mildred Hull – the “first and only tattooist woman on the Bowery” – shows some of the 300+ tattoos she created on herself. 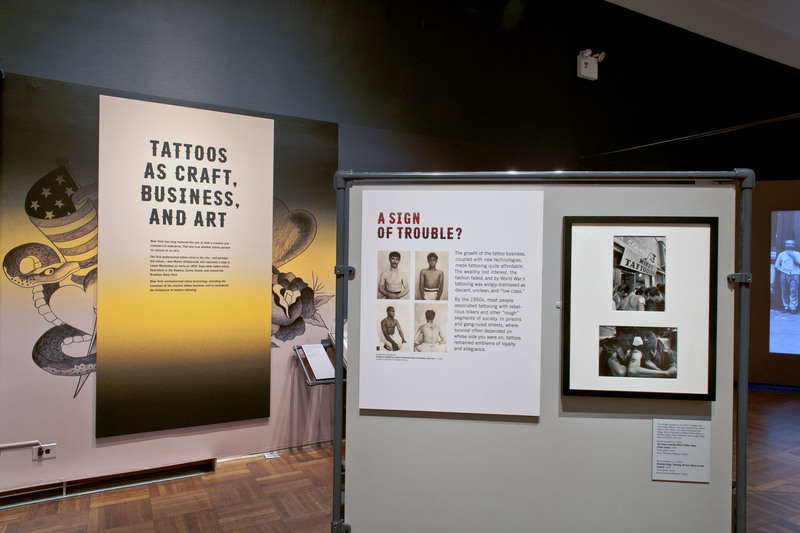 The exhibition also addresses tattooing as an art form that enabled women to challenge gender roles and turn tattoos into signs of empowerment. 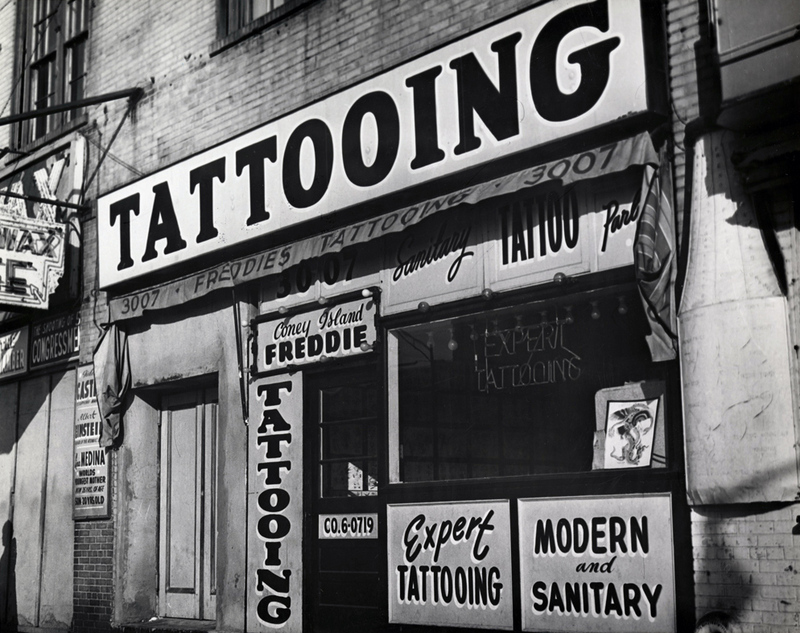 In 1961, New York City’s Health Department declared it was “unlawful for any person to tattoo a human being,” citing Hepatitis B as a concern. The ban sent tattoo artists underground and many continued working quietly from their homes, often taking clients at odd hours of the night. 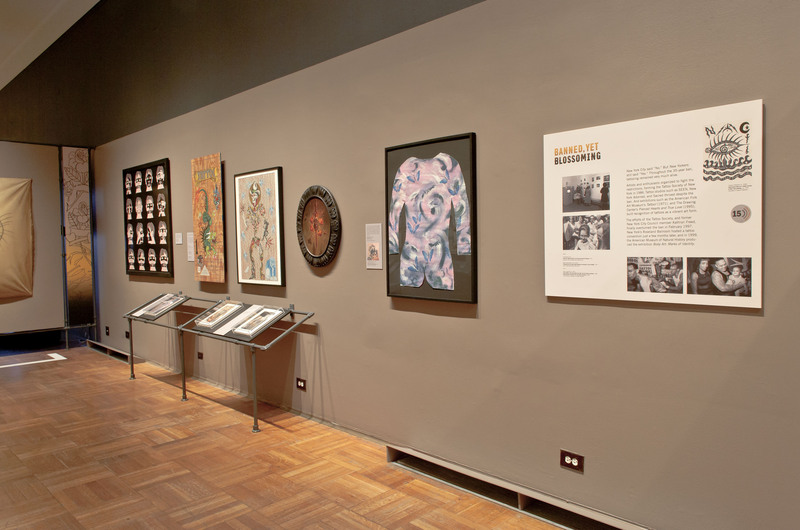 The exhibition features photographs from the apartment studios of Thom deVita and Mike Bakaty and tattoo designs from the era, including some made to be quickly concealed in case of random police raids. 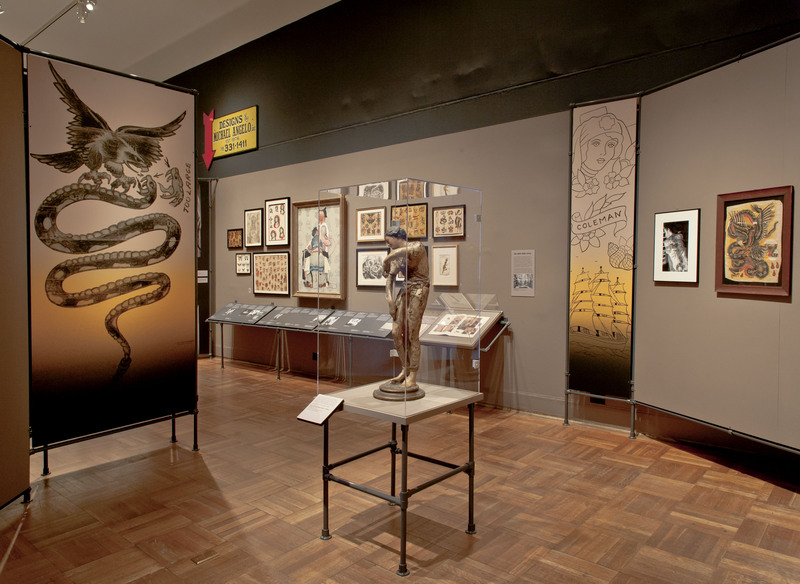 The work of fine artists who began to explore tattooing during the ban years will also be on display, including Ruth Marten, Mike Bakaty, and Spider Webb. The tattoo ban was lifted in February 1997. 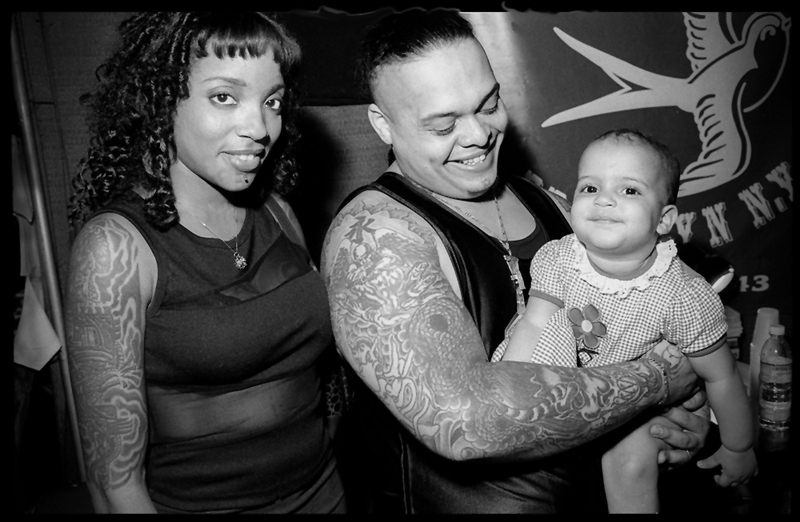 Today, more than 270 tattoo studios are flourishing across the five boroughs. 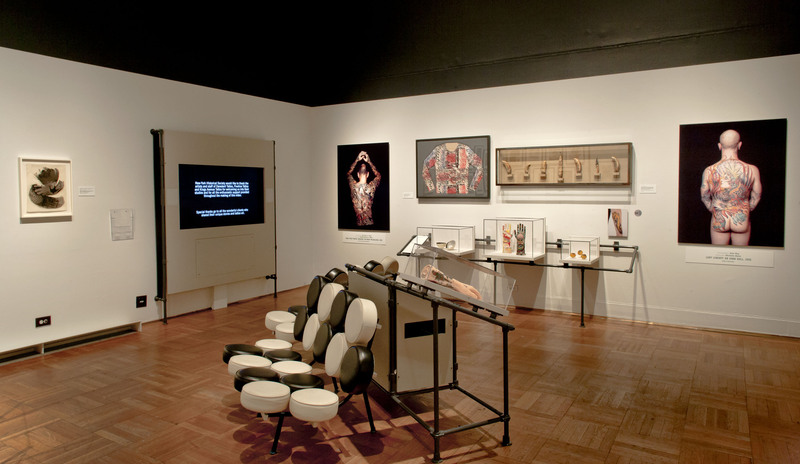 Footage of tattooing, filmed for the exhibition in several New York studios, demystifies the process. 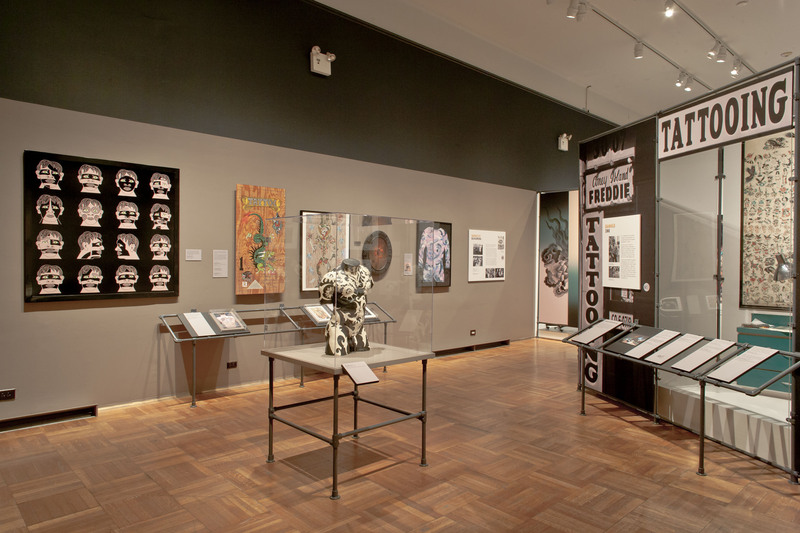 An audio tour invites visitors to listen to the voices of legendary tattoo artists who worked in New York City during the late 20th century. 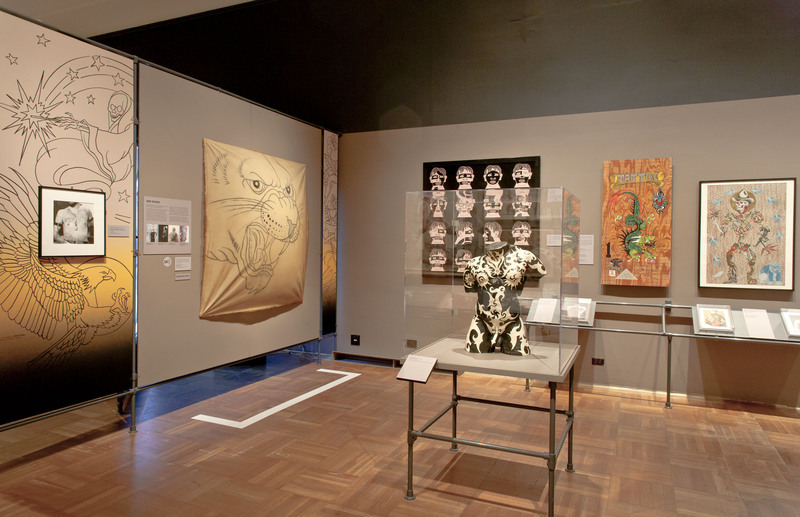 The international reach of New York’s influence on the art world today is demonstrated in works by tattoo artists from Denmark, Japan, Mexico, China, Brazil, the UK, and Italy. O’Reilly was a New York tattoo artist, who patented the first electric tattoo machine on December 8, 1891. 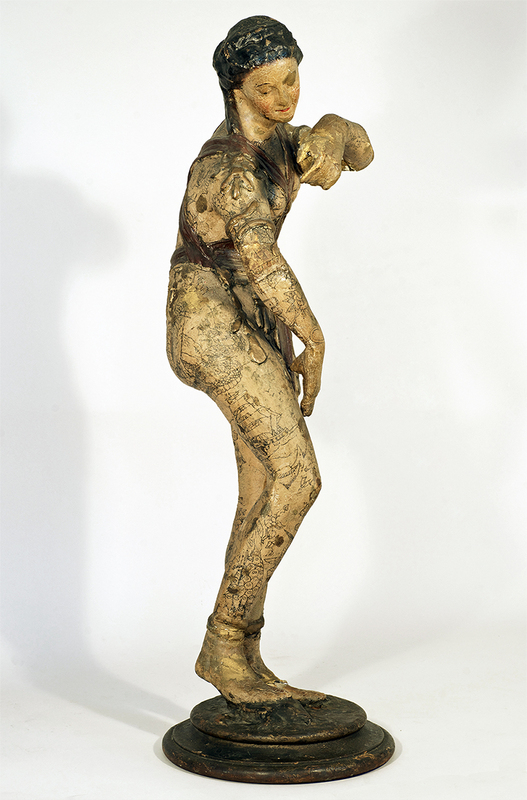 He began tattooing in New York around the mid-1880s. O’Reilly’s machine was based on the rotary technology of Thomas Edison’s autographic printing pen. 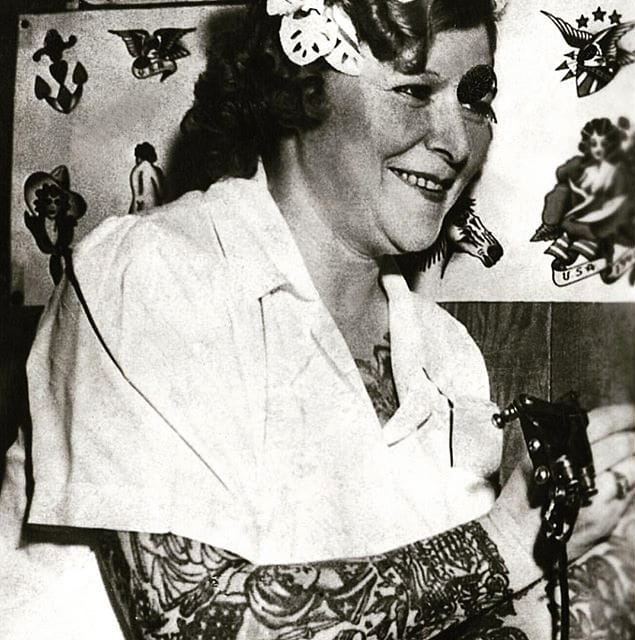 Although O’Reilly held the first patent for an electric tattoo machine, tattoo artists had been experimenting with and modifying a variety of different machines prior to the issuance of the patent. 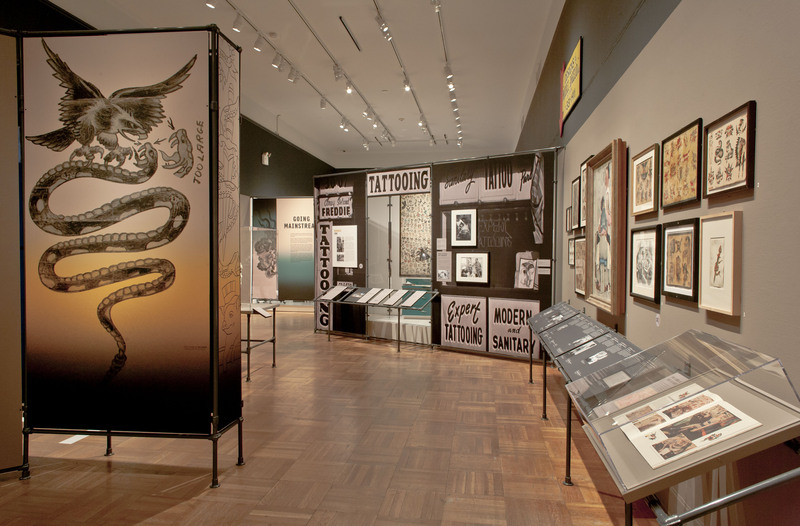 O’Reilly’s first pre-patent tattoo machine was a modified dental plugger, which he used to tattoo several dime museum attractions for exhibition between the years 1889 and 1891. 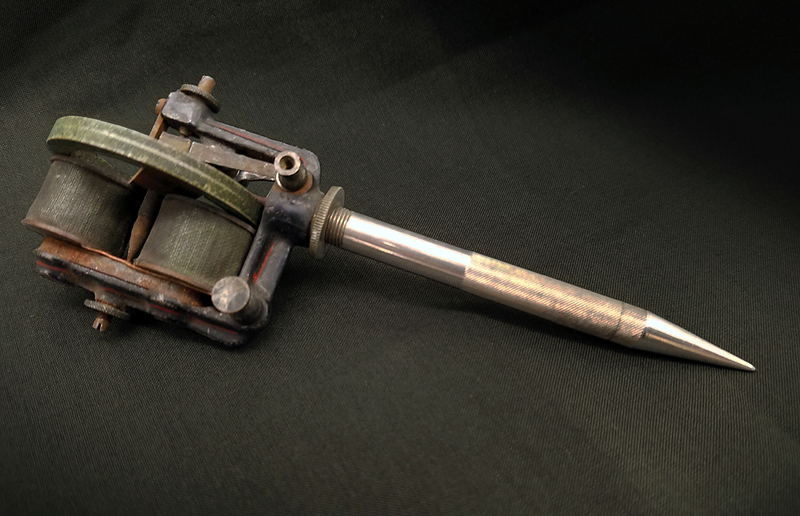 From the late 1880s on, tattoo machines continually evolved into what we now consider a modern tattoo machine. O’Reilly first owned a shop at #5 Chatham Square on the New York Bowery. In 1904, he moved to #11 Chatham Square when the previous tenant, tattoo artist Elmer Getchell, left the city. Charles Wagner was allegedly apprenticed to O’Reilly and later assumed ownership of his #11 Chatham Square shop. On April 29, 1909, Samuel O’Reilly fell while painting his house and died. He is buried in the Cemetery of the Holy Cross, Section: St. Michaels, Range: 22, Grave: 209 Brooklyn, Kings, NY. 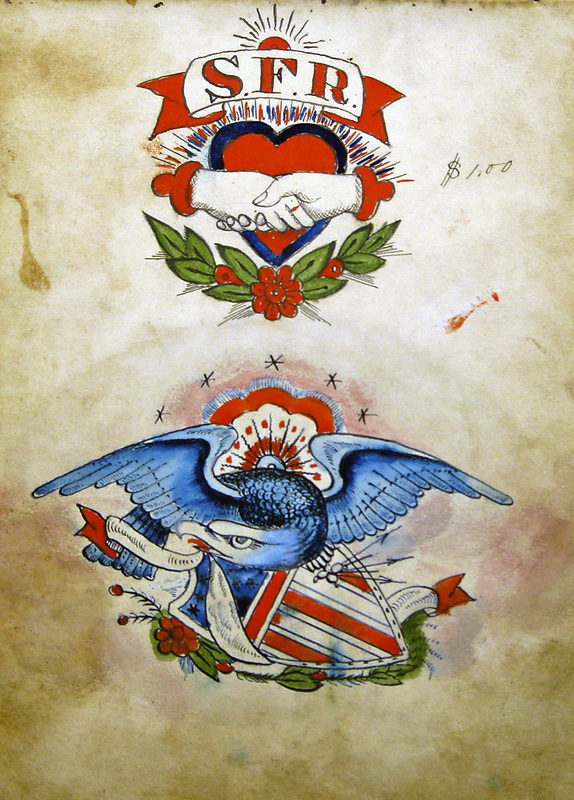 The tattoo industry was “revolutionized overnight,” according to Steve Gilbert’s Tattoo History: A Source Book, which adds that, “O’Reilly was swamped with orders and made a small fortune within a few years.” His electric machine was capable of making many more punctures per minute, and its puncturing was more precise – resulting in more accurate tattoos and less bleeding for the recipient. 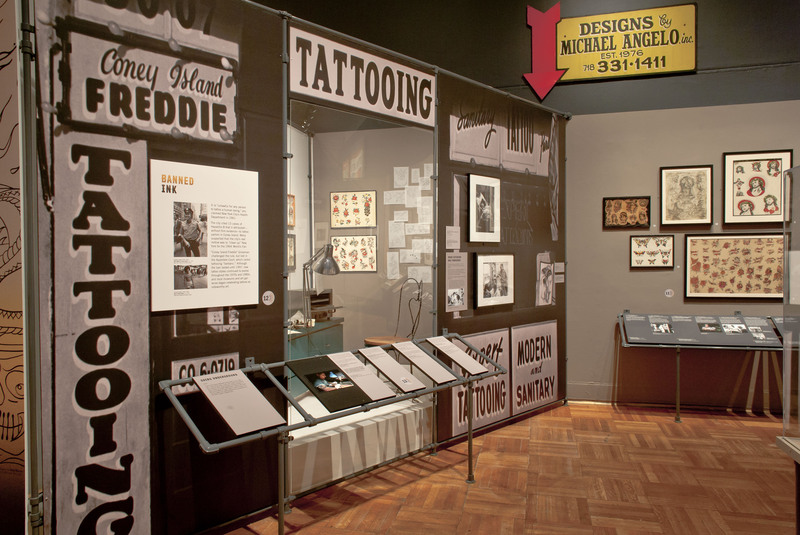 Not only was he an innovative craftsman, but Prof. O’Reilly also would become the leading tattoo artist of his era. 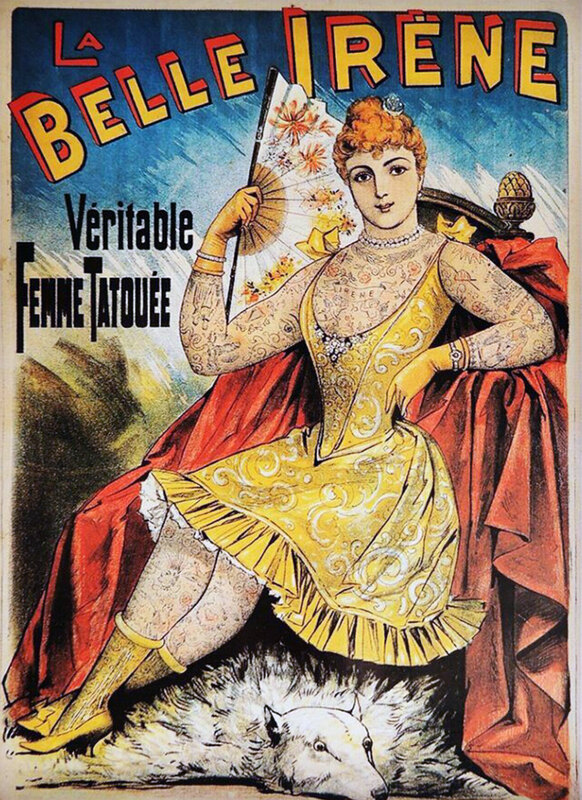 Perhaps the ultimate confirmation of his talents was that even circus tattoo-freaks sought out his services so they could revivify their illustrated bodies. 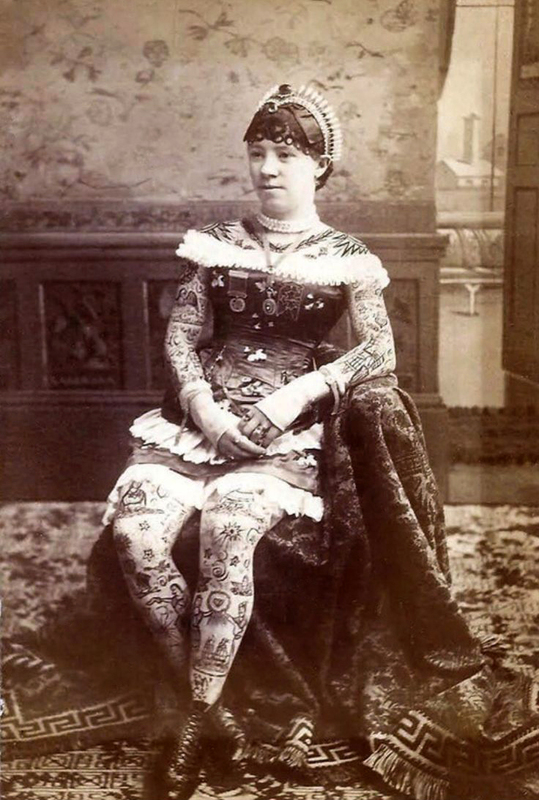 But as tattoos became more popular, these circus tattoo-freaks were losing business, as their ink-laden bodies were no longer that rare. Lady Viola was born March 27, 1898 in Covington, Kentucky, and her real name Ethel Martin Vangi. 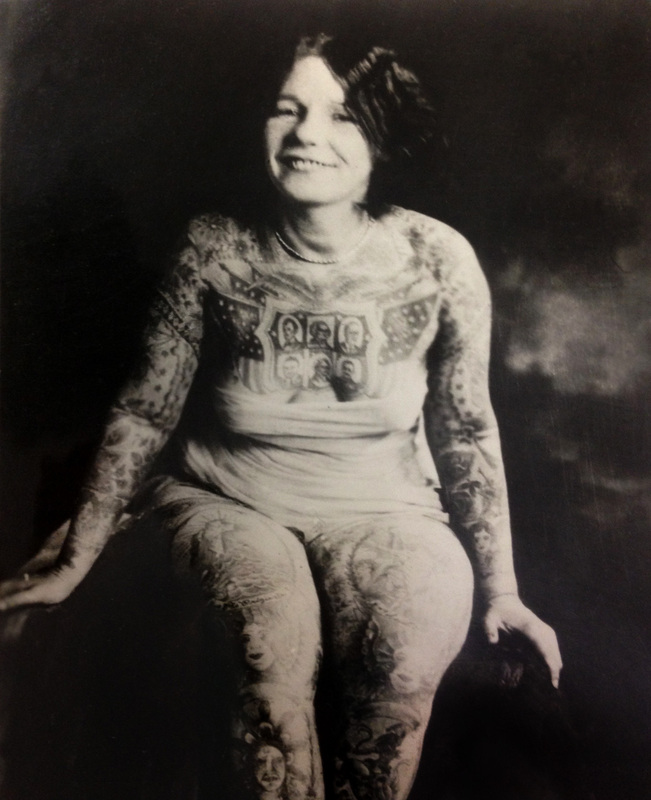 She was tattooed in 1920 by Frank Graf and soon became known as “the most beautiful tattooed woman in the world.” Lady Viola worked in museums and participated in the Thomas Joyland Show until 73 years old. 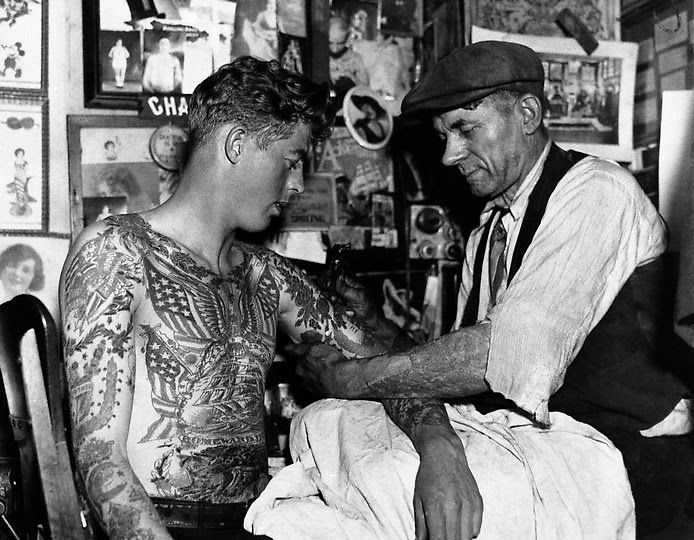 In 1936 Hull graced the cover of Family Circle – tattoos and all – in what became an unprecedented, monumental moment in history, one that until now has gone widely overlooked. It’s important to note that at the time, the magazine’s main mission was to provide women with home economic tips. I first met her on the Bow’ry at a place called Chatham Square. It was not her eyes that drew me near, her lips or pretty hair. But on her hide she wore with pride Charlie Wagner’s tattoos. Well, red roses she wore on her breast; what a sight! Oh the colour so vivid, so vivid and bright! And the blues notes danced ’round about her pretty blouse. Some say it was a waltz, like Johann Strauss. 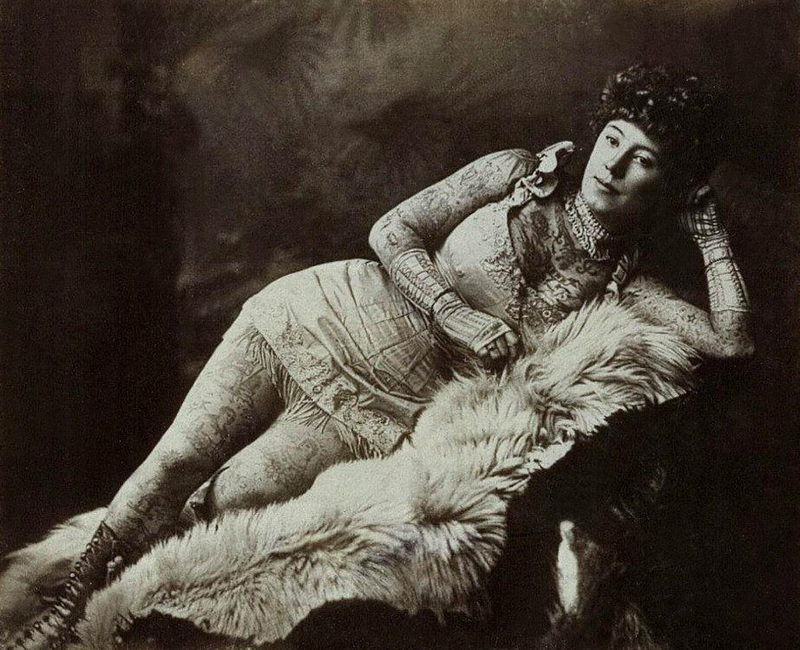 That the memory of that tattooed queen still lingers sweet. To get tattooed by the master there. 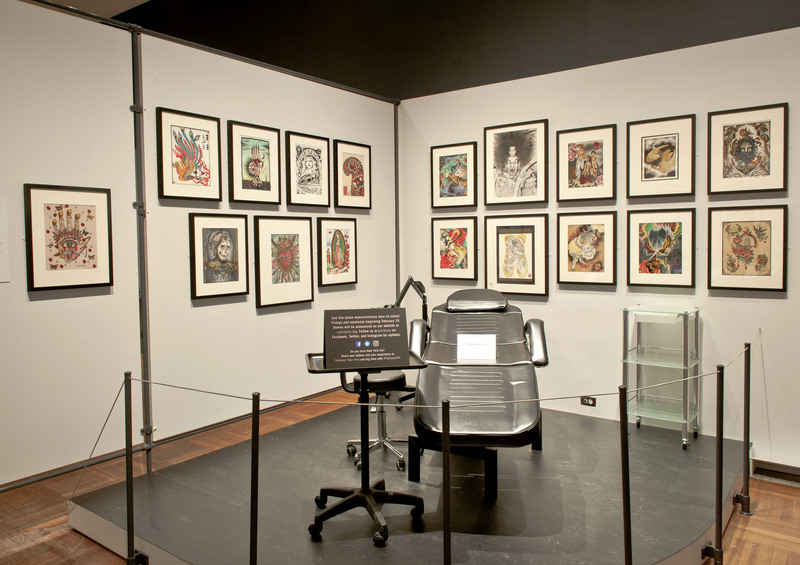 And Charlie Wagner’s fascinating tattoo machines. “Rock of Ages,” battleships and military guns. But Charlie Wagner’s tattooed lady’s still Number One. For I’d rather be down in Chatham Square. Picasso, Rembrandt and Michelangelo too. And don’t you forget Professor Wagner too. Some painted on canvas and some on chapel walls. Their art’s worth millions for fame and all. For he painted the beautiful tattooed queen. Charlie Wagner, you’re the greatest and there ain’t no doubt. 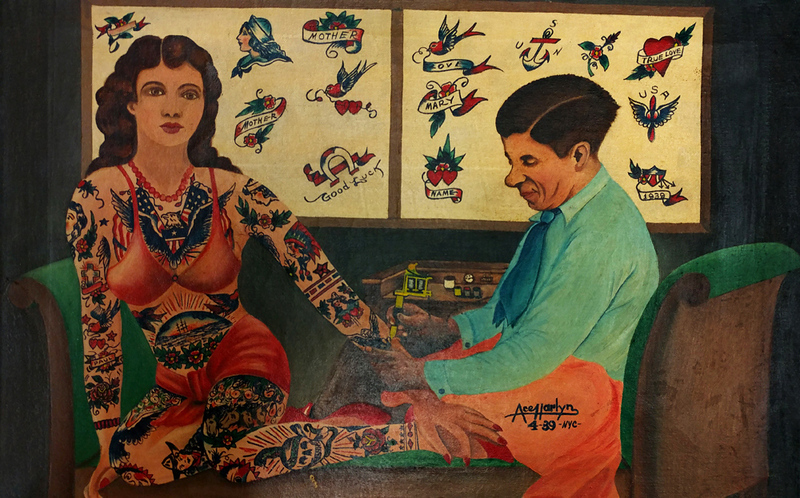 Tony D’Annessa just might be Canada’s oldest tattoo artist. Although he is now located in Montreal’s Pointe-Sainte-Charles neighbourhood, Tony started tattooing in New York City way back in the 1950s. This is a short multimedia piece shot at PSC Tattoo.